Why Climb Kilimanjaro with Alpine Ascents? Ascending Kilimanjaro with a mountain climbing organization and a professional mountain guide will greatly improve your chances of success. We have been guiding Kilimanjaro climbs for over 20 years with a true summit success rate of more than 90%, while touting one of the highest success and safety records in the industry. We were just named one of the Top 40 Adventure Tour Outfitters in the World by Travel + Leisure, which highlighted our Kilimanjaro trip. We are proud to be the only climbing company chosen! In addition to the recent recognition in Outside Magazine and National Geographic Adventure, our Kilimanjaro expedition was selected by Men’s Journal and has been highlighted in the New York Times, MSNBC.com, and Businessweek. We are one of the only outfitters to send an international mountain guide with medical training on each expedition. All of our guides are well-versed in high-altitude medicine and are Wilderness First Responder or Emergency Medical Technician certified. Our guides have generally been in the field more than 10 years with particular expertise on Kilimanjaro. Please see the bios of our Kilimanjaro guide staff. We can put you in touch with one of our Kilimanjaro climbing guides for specific questions. We always have a staff guide lead our climbs, and we are happy to put you in touch with a guide. This option is rarely available from other guide services. Alpine Ascents has been guiding climbs on Kilimanjaro for more than 20 years on multiple routes assisting trekkers, novice, and advanced climbers alike. 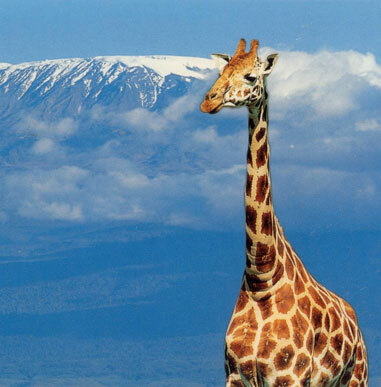 Alpine Ascents is continually a resource for media and the press on Kilimanjaro-related climbing articles. We oversee all operations with great care. We will provide a wealth of pre-trip information on issues such as training, gear, visas, inoculations, flight, and logistics. Our staff is at your service to promptly reply to phone and email inquiries. Our detailed confirmation packages leave no stone unturned in helping you prepare for your climb. Alpine Ascents has likely the highest success rate of any guide service, with about 90% summit success over the past 20 years. This statistic includes all climbers, not filtered by group as some outfitters do. Some even claim rates as high as 95% (a near statistical impossibility). We carry oxygen, a medical kit, a satellite phone, and local communications equipment on each expedition. After 20+ years, we have a superb safety record; you are traveling with medically trained mountain guides who have assisted climbers the world over (as opposed to the one-time training most African guides receive). Our guides are all Wilderness First Responder certified (rare for local guides) and perform daily fitness checks for all of our climbers using pulse oximeters and their high-altitude medical knowledge to assess and monitor climber health and well-being. We offer separate handpicked African staff for the climb and safari. With a full team of climbers, we can have a staff of more than 50 guides, assistants, porters, and cooks, as well as five to six senior guides and our Alpine Ascents guide. Along with our lead guide (an Alpine Ascents professional), we employ local guides and generally have a 3:1 climber-to-guide ratio. We often add senior staff to summit day, bringing us to 2:1. (Some outfitters are proud to advertise a 1:5 ratio). Alpine Ascents puts together a comprehensive gear list with our on-staff gear manager in our Seattle office. We have a permanent gear staff and retail/rental shop for your use. We offer carefully planned, highly nutritious meals prepared by trained chefs on the mountain; food quality is one of the highest praises we receive. It is not just about the great food, but getting the right food on such a demanding climb. As a climbing company (as opposed to a safari or light trekking company), we understand what and how people need to eat while in the mountains. We are happy to give you an outline of our menu plan. The quality of our expedition food is well-known for all our expeditions but is something special on Kilimanjaro. Regular updates are posted to our website so friends and families can follow the expeditions in real time. Audio transcriptions are usually posted the next business day. Outstanding tent locations on the mountain (it’s one of the most frequent kudos we receive). We use high-quality dining tents and provide toilet tents with a commode at each of our camps. These are water-based flushable toilets. For example: our private toilet tents are a sit-down style hygienic, Porta Potty toilet. The toilet has a seat, and a toilet bowl, which can be flushed by a small hand pump. The waste is then emptied into the lower storage tank by gently pulling on a handle and opening a trap door. Inside the toilet tent is a garbage bag for all paper and feminine products, so they may be removed from the mountain as garbage. The human waste is dumped into the national park toilets in each camp. These private toilet tents are maintained and cleaned in each camp by dedicated toilet staff. They are available in all camps, and at our sit down lunches midday and are used only by Alpine Ascents’ clients and Alpine Ascents’ guides. They are a much cleaner and more hygienic system than the pit toilets that the national park provides. We are noted as the top guide service among guide services in national magazines and climbing books. We offer a full seven to nine days on our climb for acclimatization (and ultimately higher summit success). On a route-by-route basis, we look to offer the maximum amount of time to acclimatize and safely climb. Our safari includes three national parks: Tarangire, Ngorongoro Crater, and the Serengeti. We also fly back (weather permitting) on the last day, greatly reducing the length of the return trip. We lodge in outstanding hotels (Sopa Group), and travel privately by Land Cruisers. Superlatives like “five-star,” “luxurious,” and “incredible” are often used by our climbers to describe our Kilimanjaro climbing experience. More than 2,000 people have climbed Kilimanjaro with Alpine Ascents. We are proud partners of the Kilimanjaro Porters Program/. As part of this project, we can guarantee that our porters are paid among the highest wages. This fosters our relationship with the local Tanzanian community and assists with local schools. Perhaps the most underestimated of the seven summits, Kilimanjaro, at 19,340 ft., is an extreme high-altitude climb. Your greatest chance of a successful summit is climbing with an experienced mountaineer and an organization that specializes in mountaineering. Alpine Ascents is known worldwide for the unparalleled quality of our guide staff, and we send one of our world-class guides on every Kilimanjaro departure. 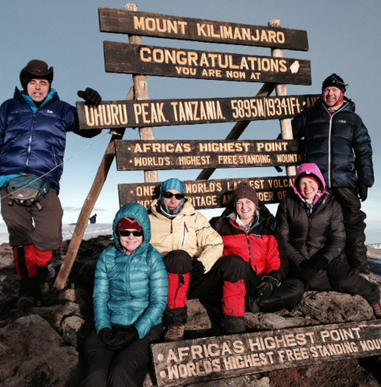 Recent Kilimanjaro guides include Todd Burleson, Eric Murphy, John Hauf, Ben Jones, and Don and Sarah Carpenter. While some other outfitters are little more than a “one-man show,” our trips are led by professional mountaineers with great flexibility in guide staff, as well as full-time office support, logistics, and access and information for other great climbs around the world. African experts and Himalayan veterans, our guides are familiar with the problems associated with altitude and are skilled at helping you maintain good physical health. 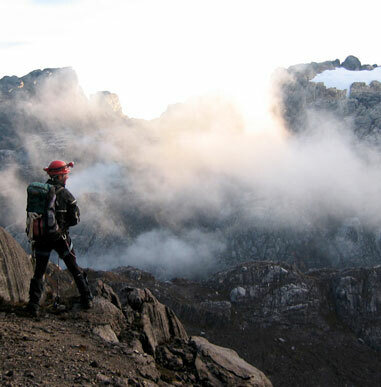 Most Alpine Ascents trips are via the 7 day Machame Route and the 9 day Lemosho/Crater Rim Route, which have distinct advantages over such routes as the Umbwe (very steep, fast and low summit success), the Western Breach (ascends a steep headwall with high rockfall danger and previous accidents) and 8 day Lemosho (which basically feeds into the Machame Route after 3 days) and the Rongai 7 day (bypasses the most beautiful and scenic parts of the mountain). 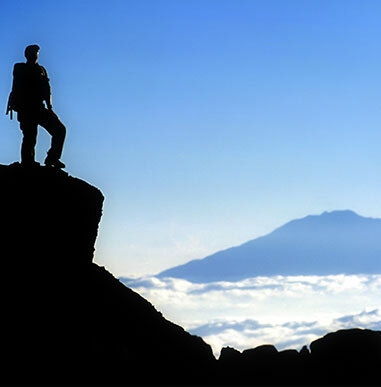 The Machame is not nearly as busy as the Marangu and affords and very pristine experience for the Kilimanjaro climber. The Lemosho 9 day allows the opportunity for climbers to sleep at the crater floor. At Alpine Ascents, we look for the route that will give us the most interesting wilderness experience, best acclimatization, and all-around enjoyment and beauty for our climbers. For those who may wish to climb another route, we are happy to arrange private climbs. Machame and Lemosho are less traveled routes. Most of the 35,000 yearly attempts on the mountain are made by the more direct Marangu and similar routes. The challenge of the Machame and Lemosho routes results in a more pristine wilderness experience. Other routes, (Arrow, Western Breach, Shira Plateau) differ only on the lower part of the mountain and all eventually – at the halfway point, if not sooner – join the Western Breach, Mweke or Machame. The selected routes have well maintained trails, contributing to a more environmentally friendly route and far less time in the mud. Our routes offer a safer and more comfortable acclimatization schedule than other routes. 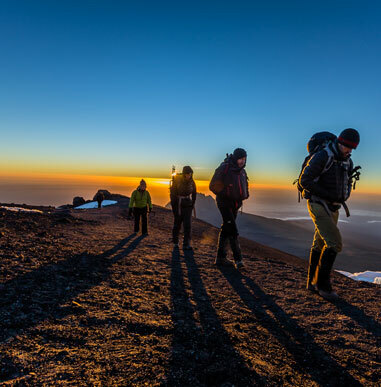 The majority of Kilimanjaro climbs are attempted on other routes, using a five or six day itinerary, resulting in an overall success rate of only 40%. The Alpine Ascents approach on the Machame Route offers an ideal seven-day schedule, (nine days for the Lemosho) and we sport a success rate over 90%! Our Lemosho has an extra camp in the middle of the climb to help with acclimatization. This should not be confused with the 8 day Lemosho that many companies offer, which has no distinct advantage over the Machame. We spend five or more nights between 10,000 feet and 15,000 feet before attempting the summit, which has contributed to our amazing summit success. Machame high camp is at just under 16,000 feet in a private area where only a few groups are allowed to camp because we carry special, environmental toilets. This gives us a nice, moderately challenging, seven-hour summit climb that allows for better rest at the lower altitude. Our 2 routes (they do combine at times) represent the most ecologically diverse routes on the mountain. Our exceptional camp selection exposes climbers to the area’s remote and pristine environment via no less than five distinct ecological zones. Best for: Novice and more seasoned climbers alike. Trekkers should be fit and following the training regimen but no prior experience needed on this non-technical route. This is a near perfect entry into the world of high altitude trekking as well as climbing. Best for: Very fit adventurous trekker preferably with some high altitude trekking experience as one must acclimatize well to sleep at 18,700ft crater rim camp. (Lower camp available if needed). Without question, John’s disposition, especially within the role of guide has made this client-to-guide experience for me to be one of the best. Having been on various climbs previously with different guides, I would say that the interaction with John has been the most connected for me.